Now with more pixels, power and integration flexibility for automating parts and assembly inspection. Sign up to PrintParts.com before launch and get a chance to win a Makerbot Replicator 3D printer. 05/26/15, 07:50 PM | Mobile & Service Robots , Factory Automation | machine vision | Photron, Inc.
Photrons new, compact Mini WX high-speed camera family features standard F-mount and C-mount lens mounts for easy integration into new and/or existing systems. A Navigant Research report estimates that revenue from fuel cells, fast chargers, and Li-ion batteries in the material handling market will be $556MM in North America by 2020, compared to $121MM in 2013. GoEngineer has more than 30 years of experience in supplying customers with the technology to solve their product design and manufacturing challenges. The COTS SBC1654 with fully integrated vision firmware in a Linux BSP saves valuable time to market on embedded vision applications. Onanon Robo Hot Socket slashes complex cable to connector assembly time and cost. 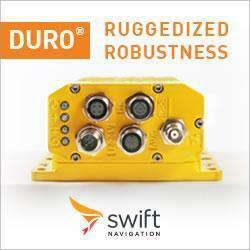 Miniaturization, reliability, reduced production cost drive automated rapid fine wire termination technology for OEMs. The RAPID 3D Printing Event takes place May 19-21 at the Long Beach Convention Center in Long Beach, California.